An automated tool that checks for backup artifacts that may discloses the web-application's source code. 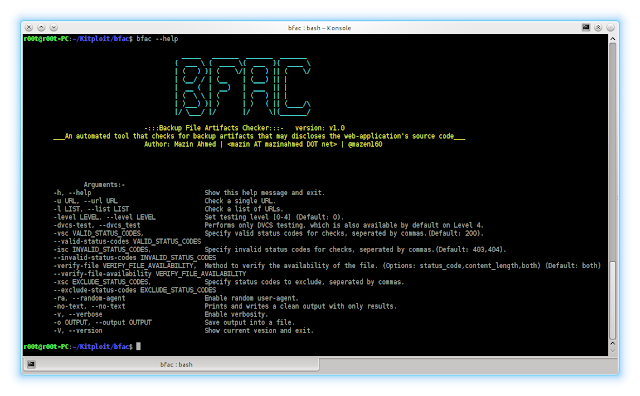 BFAC goal is to be an all-in-one tool for backup-file artifacts black-box testing. The project currently supports all platforms that runs Python. The project is compatible with both Python2 and Python3. 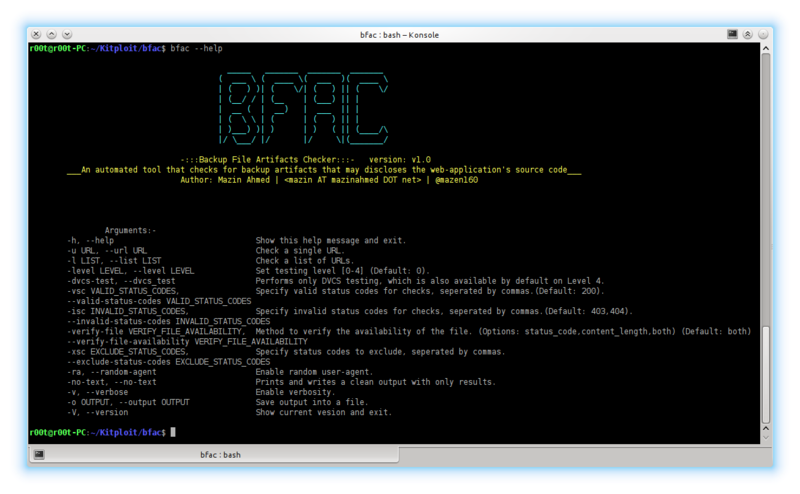 Contribution from the community to the BFAC project is very welcome. If you find a bug, have an idea for a feature, or ideas to reconstruct the code to work better, or anything else, feel free to make an issue ticket or a pull request. This project is made for educational and ethical testing purposes only. Usage of BFAC for attacking targets without prior mutual consent is illegal. It is the end user's responsibility to obey all applicable local, state and federal laws. Developers assume no liability and are not responsible for any misuse or damage caused by this program. The project is currently licensed under GNU GPLv3.0 License.